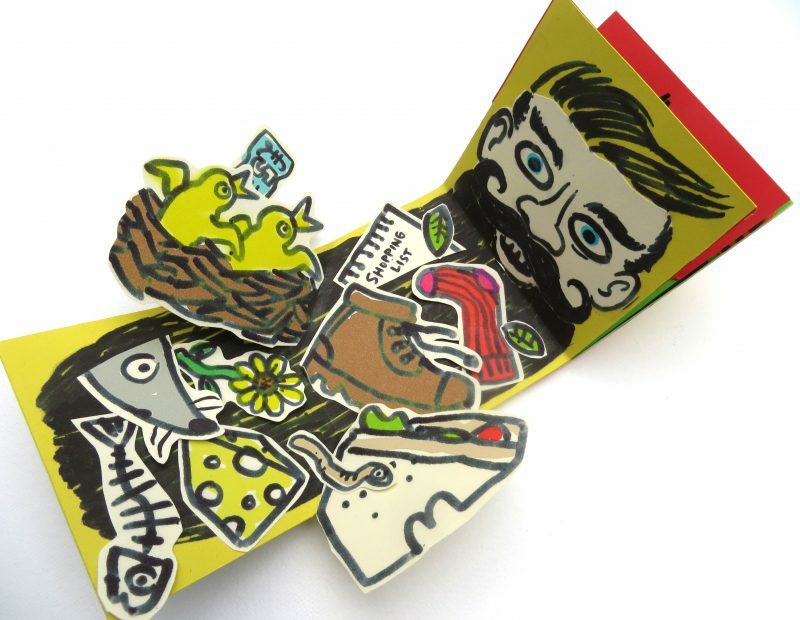 If you like beards and pop-up books and have young children, then this is the workshop for you. Make your own beard-themed pop-up creation in my next hands-on, half-term workshop at the Florence Nightingale Museum. For my return visit to this lovely venue located within St Thomas‘ Hospital, I’m taking my inspiration from ‘The Age of the Beard’ exhibition currently on show there to deliver three 1-hour family sessions encompassing 3D paper skills, design and illustration. Learn how to make pop-ups with moving parts and how to assemble a finished book. The workshops are suitable for 5+ with parents and carers. Adults will be encouraged to take part but don’t worry, no experience necessary and results are guaranteed. Materials will be provided, you just bring the creativity! The workshops are free but normal entry fee to the museum applies. Booking is recommended. Can’t you borrow one, Marion? Thanks, Rachel. I was asked to deliver a workshop on the beard theme but I think there could be a picture book idea in there somewhere as well. I might ask to see your ‘History of Hair’ at some stage. My mind is always boggled by your paper engineering, John. I’m trying to figure out how to build bookcases into a not-quite-straight corner at the moment, and that’s hard enough…! I would create a cardboard template to match the angle of your walls. Adjust it through trial and error until it’s right and then use that to get your shelves right.